Stage Light Design was established by John Rinaldi in 1982. Having begun in rock & roll touring, we then progressed into fashion shows, corporate events and other areas that require innovative lighting. Concentrating very much on design, we draw upon many years of experience and a practical approach to every project. We have maintained our interest in CAD, using WYSIWYG and other design software tools to assist the production of innovative and practical solutions to lighting for exhibitions, conferences, product launches, theatre productions, installations, hospitality events and many other shows. 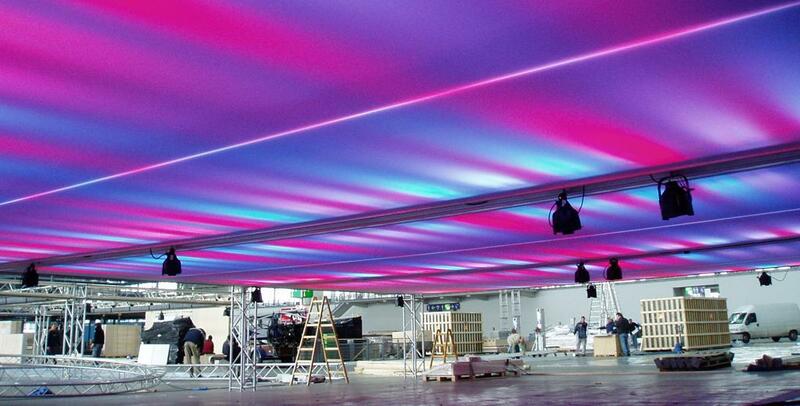 Our skills extend beyond lighting, we can manage the rigging, electrical layout and site power requirements, and many other aspects of technical production. We undertake to supply what is correct for the job, not simply renting out what we have on our shelves. Our rental stock is maintained to exacting standards, to ensure the equipment supplied performs as intended and is also visually and aesthetically pleasing no matter what the event. We cover all of Europe from our UK base, and we have partners in USA and China to aid us in offering a global reach. We also commission custom-made kit to suit specific requirements.